This past week, I set about updating an older digital collage I had created and transformed it into the piece you can see below, Taking Flight. I had always been pleased with the butterfly and flower elements of the piece, but overall it had never felt quite finished. With a little additional cropping and shading, I was able to turn it into what I felt was finally a portfolio worthy piece. In addition to just showing the piece, I wanted to explain a little about what goes into creating a digital collage like this one. My digital collages , in general, are composed of layers of photographs and textures that are masked (partially hidden), altered, and combined in Photoshop to create new pieces of artwork that look very different from the individual pieces they are composed of. The great thing about altering and combining the elements is that you can use images that might not be very good stand-alone photographs. I rarely delete any photos I take, even out of focus and poorly exposed ones, because I can see the potential for the elements to be used in a collage at a later point in time. Once I have an idea for a collage, I usually start my piece by creating a background for the objects to rest in. Sometimes the background is composed of many different combined images, and other times one picture will suffice. For example, in my first surrealistic piece , I used 8 different photographs to make just the waterfall and earth around it. In this case I primarily used one photo, a picture of a shoreline and lake that I had taken on the grounds of Castle Howard. The photo by itself is ok, not great, but like I mentioned earlier, the photos don't have to be fantastic to make for perfect collage elements. I really liked how the clouds reflected in the water of this particular photo, so I didn't feel the need to add any extra elements to the water itself. However, I did want to make it more of a fantasy image and add a castle above the tree line in the back. 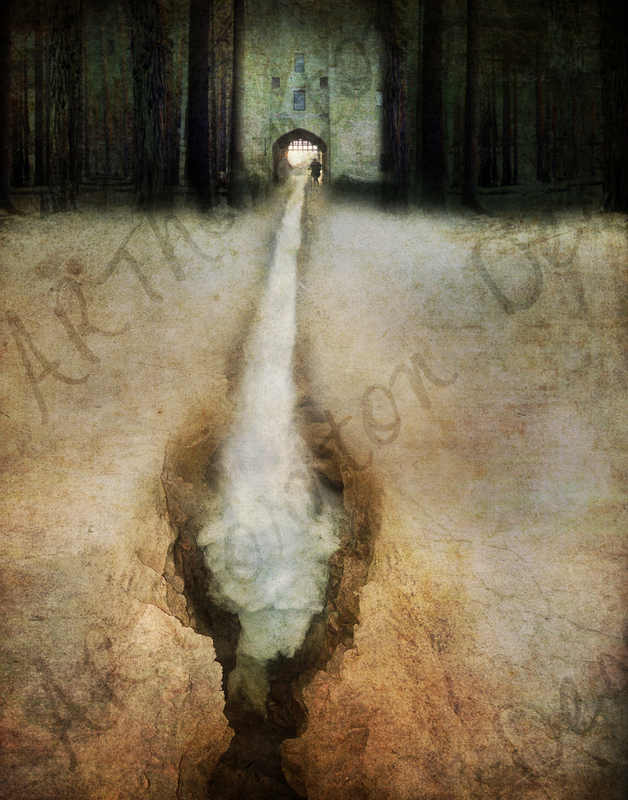 For this part, I combined two separate images I had taken of Castle Warwick to create my multi-towered castle skyline. So after all my of hours of going back and forth on shading and texture decisions, element placement, and color alterations, I finally end up with a completed piece! Just to give an idea of the amount of editing involved for those familiar design software, this final piece without flattening has over 100 layers. I might use layers a bit excessively, but each one has its place in making the final collage perfect. It requires a lot of time and effort to make a final piece, but it is what I love doing so it feels like it takes no time at all. I hope you enjoyed this small look into the art of digital collaging and seeing what it took to make my piece, Taking Flight. I am always looking for new collage ideas, so please let me know if there is something you would like to see. Thanks!